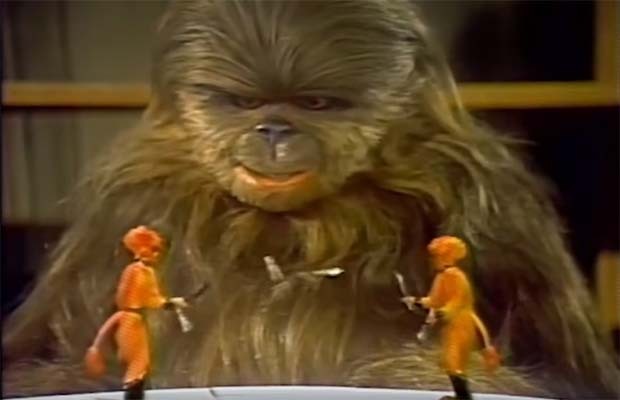 We all remember the Star Wars Holiday Special, right? That unforgettable movie that gave us our first glimpse of Boba Fett (Don Francks) as an animated character and introduced to key characters like Malla (Mickey Morton) and Lumpy (Patty Maloney), the wife and son of Chewbacca (Peter Mayhew)? Okay, it was actually a terrible movie with a questionable place in overall Star Wars canon. But at least they found a way to get the likes of Golden Girl Bea Arthur into a Star Wars related production right? So apparently things could have been even weirder, at least according to this NerdSync video. So I guess we came out on top, relatively speaking?